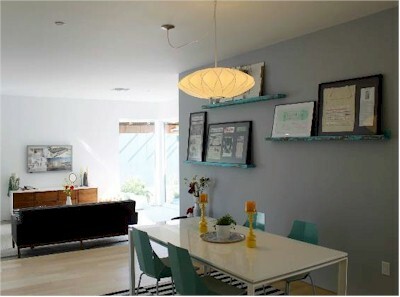 Peak Place is an eco-friendly community consisting of 6 brand new, LEED certified, fee-simple single family homes located at 3510 Fletcher Drive in Glassell Park. If you can’t decide on Atwater Village or Eagle Rock, why not something right in between? 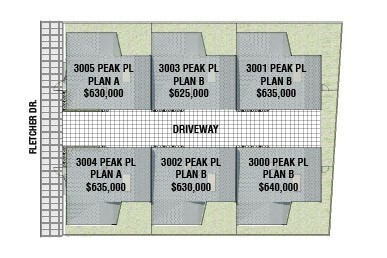 Peak Place offers 3 bedroom, 2 bath homes in just over 1900 square feet with prices between $625,000 and $640,000 depending on their place in the complex and the amount of outdoor space. Los Angeles’ small lot ordinance allows developers to put more homes on smaller lots for higher density living. Though the space between homes might be mere inches, developers like Heyday realize that even a small amount of outdoor space makes a home more desirable. 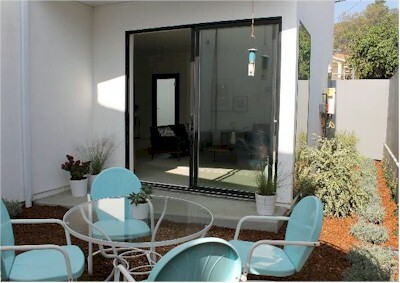 They managed to include sliding door from the living room to the outdoor space providing an easy indoor outdoor flow. Heyday is not new to the small lot design. 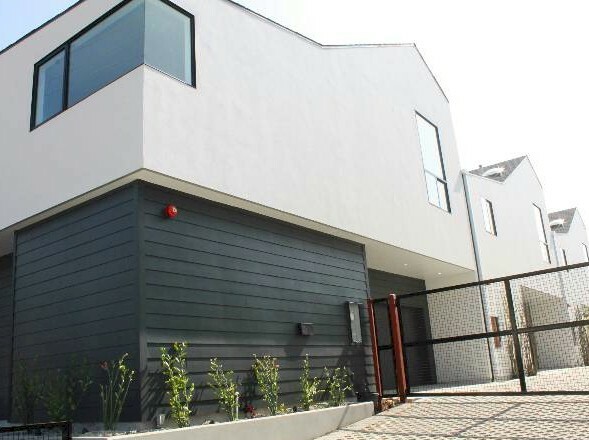 In 2002 they hit the ground running and were the first to bring small lot homes to North East Los Angeles with their highly successful 15-home Rock Row development in Eagle Rock. Their most recent project in Silver Lake, Buzz Court at 2844 Rowena, sold out in just days and Peak Place will likely do the same. With the real estate inventory still low and interest rates attractively low, there’s no doubt buyers will be clamoring for these new homes in NELA. Check out this article from L.A. Magazine about just how crazy the local market has been. LEED is and acronym for Leadership in Energy & Environmental Design and is an internationally recognized green building certification system that provides 3rd-party verification that a building has been designed and built with energy savings, water efficiency, CO2 emissions reduction, improved indoor environmental quality, and a host of sustainable factors for green construction. The rating a development receives is based on the extent of various sustainable strategies are achieved. The homes at Peak Place have the achieved the Gold Rating. See the U.S. Green Building Council site for more information. If you like modern construction and interesting architecture, Peak Place in Glassell Park, listed with Chris Furstenberg, could be just the ticket. The floors are wood, concrete and tile, ceilings are high and contain skylights and the main living area is open and great for entertaining. Each has its own 2-car garage as well. Proximity to the 2 freeway makes it easy to get to and from just about anywhere and there are lot of stores, cafes and bars within a short distance along Verdugo Rd and Eagle Rock Blvd.